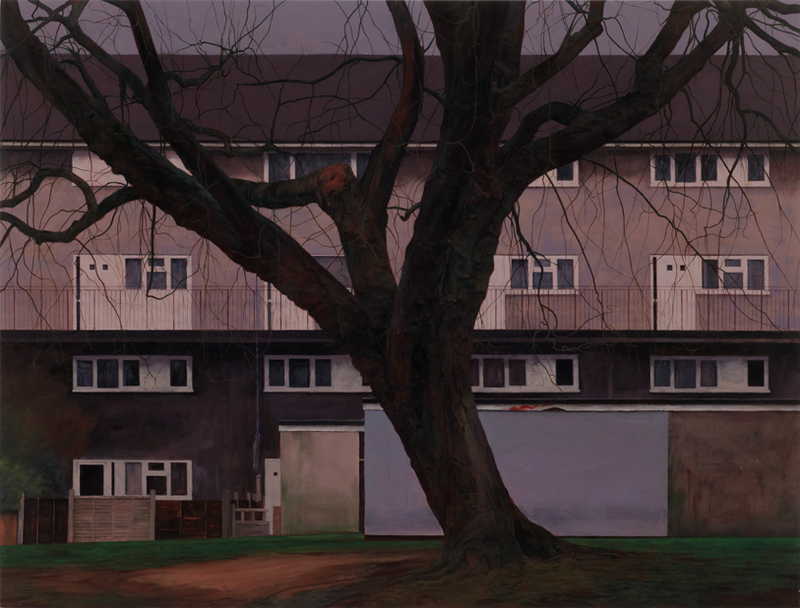 George Shaw has become well known for his pictures of the English housing estate where he grew up in the 1970s. Highly detailed and naturalistic, they are normally painted with Humbrol enamels, which are more commonly used to colour model aircraft. In 2011, following a major exhibition at the Baltic Centre for Contemporary Art in Gateshead, he was short-listed for the Turner Prize. In many ways Shaw's work is not in step with contemporary artistic trends; he is idiosyncratic, notable for his thoughtful melancholy and his careful attention to the craft of painting. 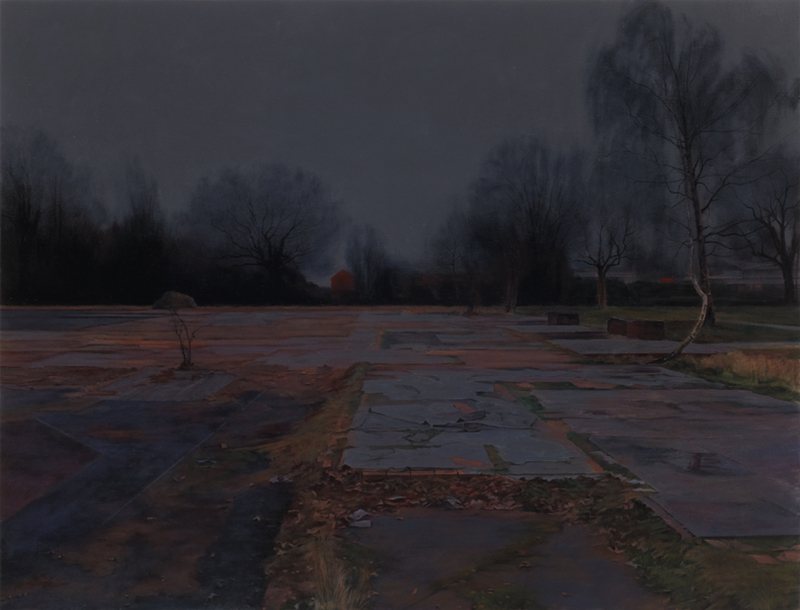 But there are aspects of his sensibility, such as an ongoing preoccupation with 'edgelands', that clearly resonate with the cultural concerns of our times. 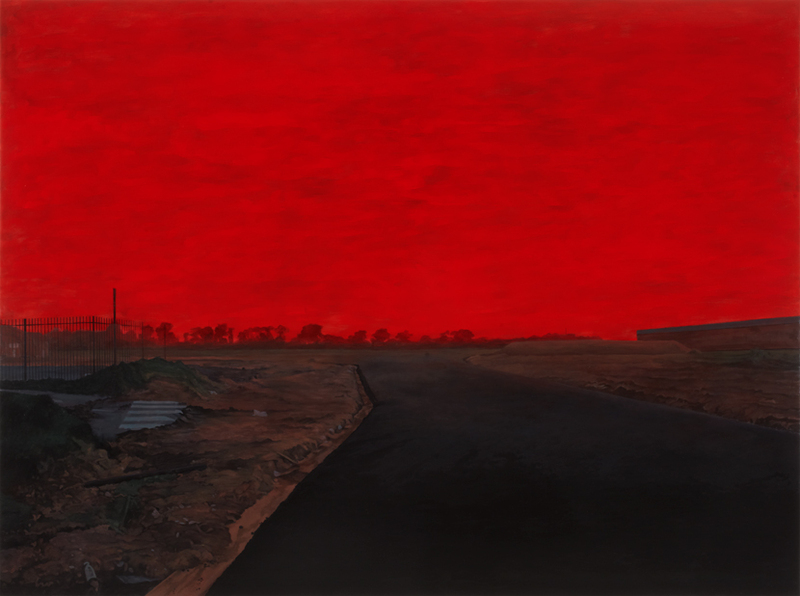 Shaw paints suburban homes, abandoned warehouses, grassy verges, and scrubby woodland, all deserted but fraught with low-keyed anxiety and threat. They are empty places, but to Shaw they are full of feeling and 'teeming with human presences'. As J.G. Ballard once said, 'the suburbs are far more sinister places than most city dwellers imagine. Their very blandness forces the imagination into new areas'. 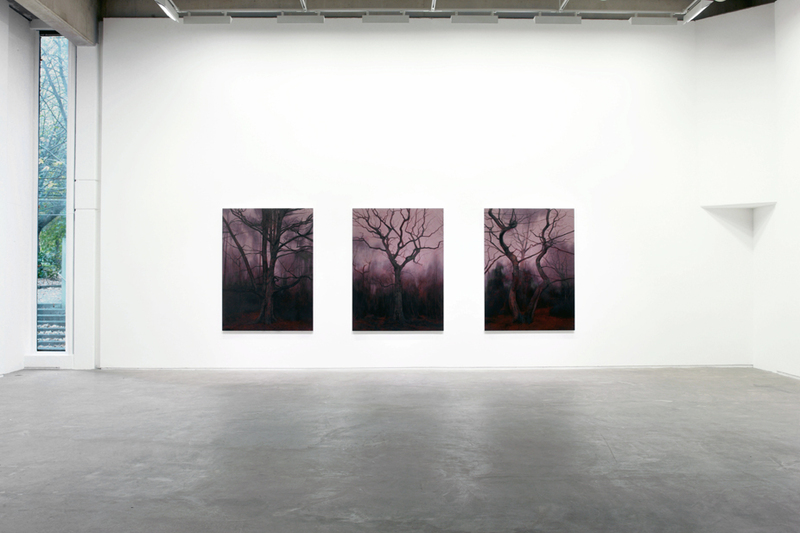 George Shaw has many and varied literary interests, as well as a rueful fascination with mortality and death, so it is not altogether surprising that this exhibition of new paintings should borrow its title from A Portrait of the Artist as a Young Man by James Joyce and take as its focus the idea of 'limbo', which is perhaps the archetypal 'liminal space'. He has written pungently about this notion in an essay for the publication that accompanies the show, as well as alluding to it in the notes that throw light on the films that he has chosen to expand and echo his theme. 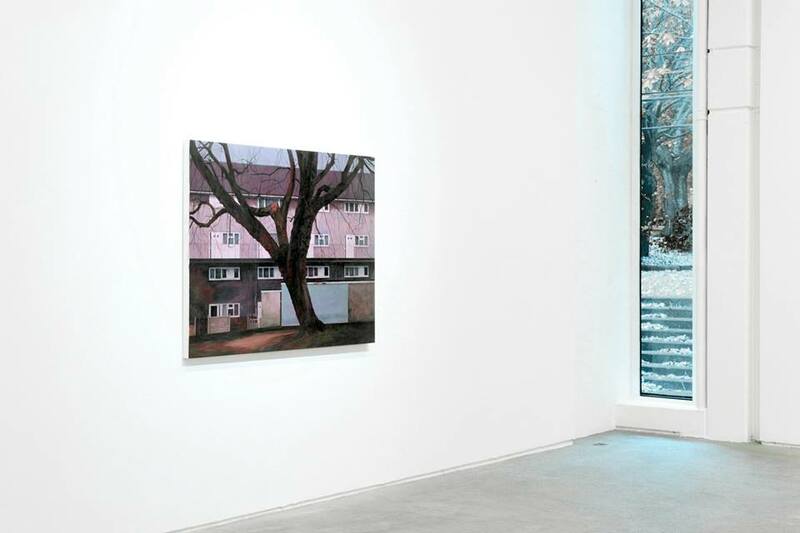 The Douglas Hyde Gallery gratefully acknowledges the artist's unusual commitment to this exhibition, as well as the generous help and support of Anthony Wilkinson of Wilkinson Gallery, London.